I have over 18 years experience writing and developing strategy, fundraising applications, project management and administrative skills. 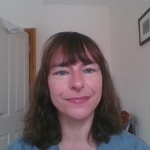 I can offer a range of skills, including...Read moreI have over 18 years experience writing and developing strategy, fundraising applications, project management and administrative skills. I can offer a range of skills, including proof reading, bid and policy writing, copy writing and organisational planning.